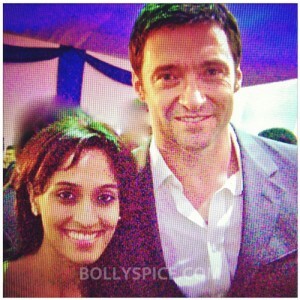 Shweta Pandit: ‘I Dreamed A Dream’ is a singer’s dream song! Recently in our interview with the fabulous singer Shweta Pandit, she teased us with the release of her new track, her first English language song, but what it was or when it would release we did not know. Now we have the details just for you! The song released this week and is a beautiful rendition of ‘I Dreamed A Dream’ from the fabulous musical and now hit film Les Misérables. Check out this exclusive look at the video of the song and even cooler she gives us the inside scoop on the making and recording of ‘I Dreamed A Dream’. Shweta does say that she was nervous to take on the challenging song, “When Kevin was working on the music, I didn’t even know if I’d sound too Desi or will be able to go so high in notes and do the vibrato and still get all the emotions right. It was a huge challenge for me as a singer but that was the best part! “‘I Dreamed A Dream’ is a singer’s dream song! This is one of the most exciting projects of my life, because its a challenge, its a huge leap for me as a vocalist and also a tough song to sing! I was so “On my feet” and so excited to sing something new and work on something so different and real. I am thrilled I’ve attempted it and people have blessed me so much hearing it the first day of 2013,” she says with a huge smile. 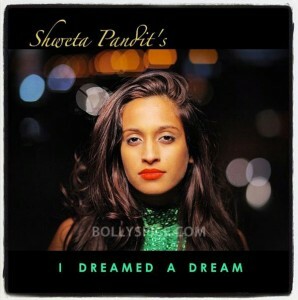 Sit back, turn this up to 11 and enjoy Shweta Pandit’s ‘I Dreamed A Dream’!